You are a parent raising young kids in the state of Illinois but you think another state or county within Illinois would benefit your family more. Problem: you share parental allocation or responsibility (formerly custody) with your ex-spouse. In the State of Illinois, just because the child(ren) reside with you, does not mean you get to dictate where they live, especially if it means relocating out of the State of Illinois. Moving out of state to a new residence that is located more than 25 miles from the child’s current home. 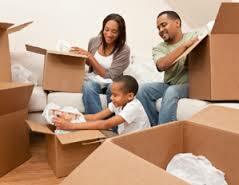 If the other parent is agreeable with the move, then your job is just about done. You simply draft an agreement and have the other parent sign off on it and then you file the agreement with the court. If the other parent is opposed to the move, you must get permission from the courts to relocate by filing a petition. The court will usually considers the reason for the move – such as better opportunity for the child(ren) and the effect on parenting time for the other parent. DON’T move in bad faith or place minor(s) in a worse off position than they will be in if they stay where they currently reside. If you are planning on relocating and the other parent is not willing to sign off on the move and you are located in Cook, Lake, Will, Kane, and Du Page counties, call our offices and schedule an appointment at 312-893-5888.